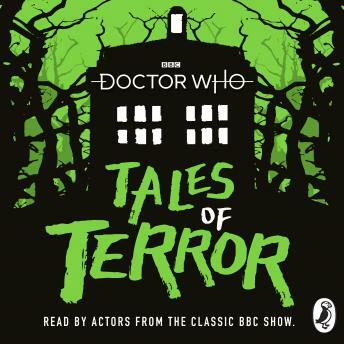 Penguin presents the audio download edition of Doctor Who: Tales of Terror read by Sophie Aldred, Adjoa Andoh, Rachael Stirling, David Bailie and Derek Jacobi. A new spine-chilling collection of twelve illustrated adventures packed with terrifying Doctor Who monsters and villains, just in time for Halloween . . . Written by Jacqueline Rayner, Mike Tucker, Paul Magrs, Richard Dungworth, Scott Handcock and Craig Donaghy, each story stars an incarnation of the Doctor on a brand new adventure in time and space.